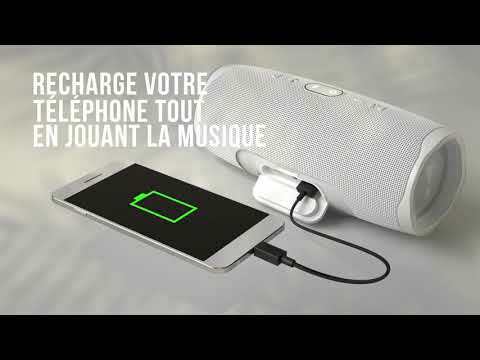 JBL Charge 4 est évalué 4.4 de 5 de 204. Rated 5 de 5 de Rob1999 par Great Bluetooth speaker JBL makes quality products. And this 4 th generation Charge Bluetooth speaker delivers great sound and long battery life. The ability to charge your devices is a plus! I highly recommend this top notch speaker to anybody looking for a rugged speaker that puts out quality sound!